It’s now over halfway through the first year of the PhD and thoughts turn to transfer, so begins my 4th supervision meeting. As previously discussed (in week 19), in order to progress onto the 2nd year of the PhD proper, each student needs to go through a process known as transfer, or upgrade. This is a useful process as it allows students to consolidate their research so far and get feedback from supervisors and external examiners before continuing. At supervision, we’d discussed the evidence I needed to provide for transfer and it it was decided that I should focus on the written submission first, followed by practical work and supporting documentation, such as blogs, archives, etc. I set off in earnest, feeling confident about the task, having previously made the decision to focus on one chapter of the research. However, after starting to write I realised that my focus was much broader than that and felt that I needed to define my research terms in order to make a coherent argument. What had begun as a sample chapter had now turned into an overview of the whole project. Unfortunately a 5000 word limit didn’t feel like nearly enough to discuss all the various topics within the research. I was starting to feel confused as to how I was going to bring all the different strands together, not to mention incorporating my practice, but after submitting the first draft of my essay, I realised that I’d actually created the framework for a literature review. Although I had an idea of how to write a literature review in theory, I felt like it would help to look into it a bit more. A literature review is a piece of writing that summarises and critically analyses the main texts relating to your argument. It puts your research into context within the field and explains your original contribution, either through filling a gap in the knowledge, or building on previous research. Where the literature covers a number of topics or applications, the review may be separated under different headings in order to group similar or contrasting studies for comparison. To begin, it helps to discuss the breadth of the field, before narrowing the focus to studies which overlap your research, and the specific issues which relate to your studies. When sourcing research material you will need to consider a number of factors, including what research has already been done on this topic, what the sub-areas of the topic you need to explore are, what other research might be relevant to your investigation, and how these sub-topics and other research overlap with your question. This material can then be used to support your original thesis, show your ability to find relevant material and prevent recreating previous research. After reading your texts, you should summarise the argument and show how it is relevant to your research. In order to create a strong argument, it is necessary to consider opposing theories as well as supporting ones, as it shows that you have considered other possibilities. You should then be able to see the areas that require further reading and investigation. Make sure you use a mix of seminal and recent research in your work in order to demonstrate your awareness of all the arguments. A literature review should be structured like any other essay, it should have an introduction, a main body, and a conclusion. The introduction should define your topic, establish your reasons for reviewing the selected literature by highlighting relevant questions, and explain the sequence and scope of the review. The main body should organise the literature according to common themes, provide insight into the relation between your chosen topic and the wider subject area, before focusing on the specific area of your research. The conclusion should summarise the current state of the research in your field and identify any gaps or problems with the existing research. It should also explain how your investigation is going to address these gaps or build on the existing research. Given the social nature of the objects I am defining, I think it would be useful to consider the concept and impact of Relational Aesthetics in contemporary art. This term, identified by the French art critic Nicholas Bourriard, was first coined in response to emerging practices from the 1990s. These relational artworks often consisted of encounters or environments where audiences were able to participate in the production or dissemination of the work. In this way, the audience not only became part of the work, but the work was unable to function without the audience. Although the term was created to describe the inaugural exhibition at the Palais de Tokyo, Laurie Rojas has argued that it is a development from the participatory art and happenings of the Fluxus group of the 1960s. A specific example of this is the ‘social sculpture’ of Joseph Beuys. In this respect, Beuys believed that everybody was an artist and that the project of art was to transpose political and utopian desires into aesthetics and action in order to heal historical trauma. Although there are many problems with Beuys’ ‘Prima materia’, (as discussed in week 26) the concept of social sculpture as a prelude to participatory practice is an interesting one. The problems with relational art as defined by Bourriard however, are self-created. As Claire Bishop states in her 2004 essay ‘Antagonism and Relational Aesthetics’, Bourriard’s hypothesis of inclusivity only extends to the networks that have access to information and galleries, without addressing the structures that create these networks. Equally, the artwork as an object which is defined by the audience contributes to the lack of a stable object, thereby rendering it difficult to assess critically, or, in the case of Tiravanija’s work, even distinguish from reality. 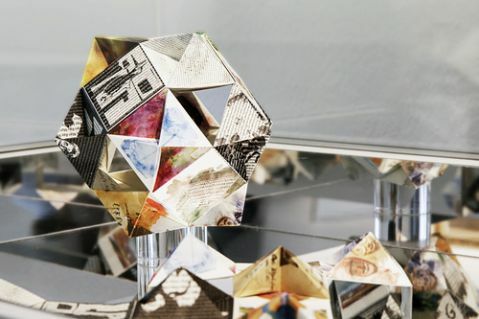 My own experiments with relational and participatory work came about through the development of my curatorial practice in artist books, in particular the exhibition, Cabinet of Curiosities. The exhibition was a response to the need to address how to allow participants to engage with book works, particularly when there was no invigilation available. The site for this exhibition was a large cabinet with 14 drawers, so through taking this consideration as a starting point, each artist created a site-specific work for each of the drawers. Instructions were provided as part of, or alongside artworks, producing an interactive element to encourage the audience to contribute to the creation and dissemination of the work. By bringing together text, performance and collaborative practice, the work also referenced previous art movements including Surrealism and Fluxus and was complemented by additional bookworks exploring interaction and collaboration. These experiments have led me to reconsider how my own practice might address the nature of interaction and activation of the art object by its audience. Beuys’ political interventions, although inclusive, risked emulating fascistic ideologies. On the other hand, Bourriard’s lack of structural analysis contradicts his claims about inclusivity. Although both addressed the nature of agency of objects and participants, neither considered the networks which defined these interactions. As a maker, it seems relevant and important therefore, to address how the structure, material and semiotics within the work, communicates shared or learned experience. In this way, art can operate on a number of levels depending on the audience.